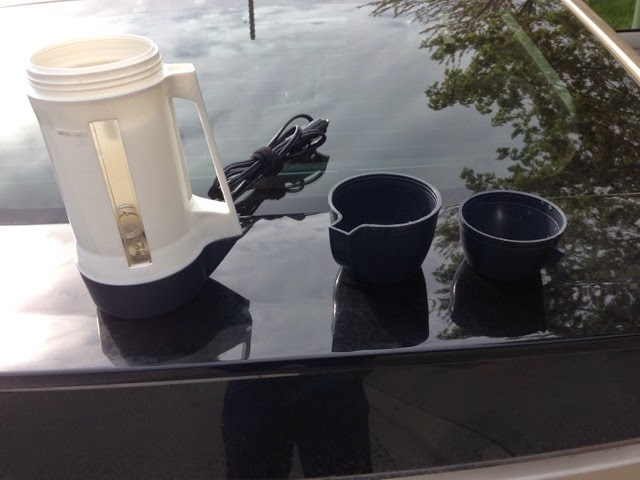 Last year I mostly made hot water with a small teapot on the built-in 2-burner stove in my Class B Campervan. To do this with the Prius meant getting out the 1-burner stove from the trunk space under the rear floor of the bed and fridge. Then getting a pot from under the storage area I built where the rear passenger seat was. Of course if I didn't have a flat place to put the stove like many co grounds that don't have picnic tables or when I'm Boondocking on BLM land I would need to get out my folding table then heat water. I took the time to do this to make water this way when I was cooking on the stove so it didn't feel like an extra step/s. On this years travels in my Prius when I wanted to wash my face at night before bed all I needed is a couple cups of hot water. When I shaved again in the morning I only needed a couple cups of hot water. When I wanted to wash a dish and spork I used for a dinner salad, again I only needed a couple cups of hot water. My Prius solution was to heat water using this 12 volt water heater. I had already made a power center over the car's 12 volt battery in the rear of the car with a heavy duty 12 volt outlet designed to handle heavy loads like this device. I put up to 16 oz of water in and about 20 minutes later I have boiling water. I did not try other similar products, but this one worked great for my needs. It has two cups nestled to form the cover, with the smaller one a measuring cup of sorts. If you don't need a lot of hot water this works great. The next thing I wanted to solve was hot water storage. 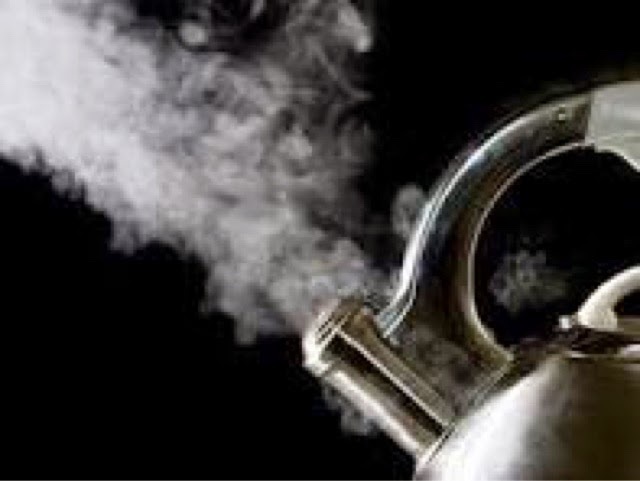 If I only need a cup or two of hot water at night and in the morning it wasn't practical to boil water twice, especially when I was stealthy in a casino parking lot. 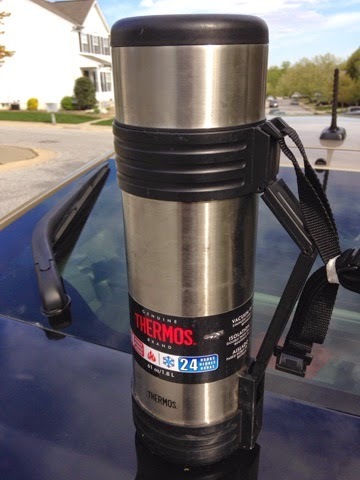 My problem solver was this highly insulated Thermos brand thermos. It is large enough to store sufficient hot water for 24 hours. When I say hot I mean it. 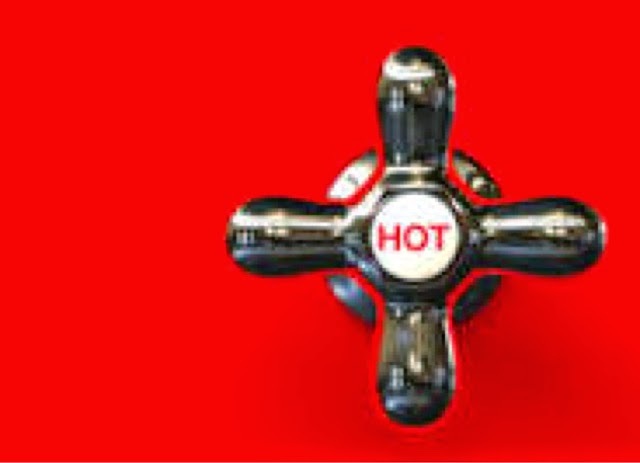 Boiling hot water in the evening is too hot that evening and still hot enough to hurt your hands without adding cold water the next morning. If it isn't that cold outside I still had hot water 48 hours later to wash and shave. 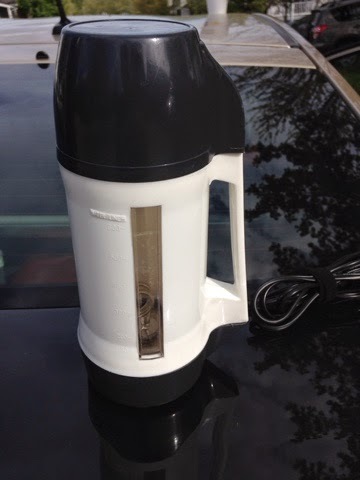 With the Thermos I could now keep enough water heated during an hour for a full day of needs. I had enough hot water to wash my hair, shave, wash up, and clean some dishes during the day. The next evening I would do the same having hot water when I needed it. I found this provided the best comfort at the least amount of water. 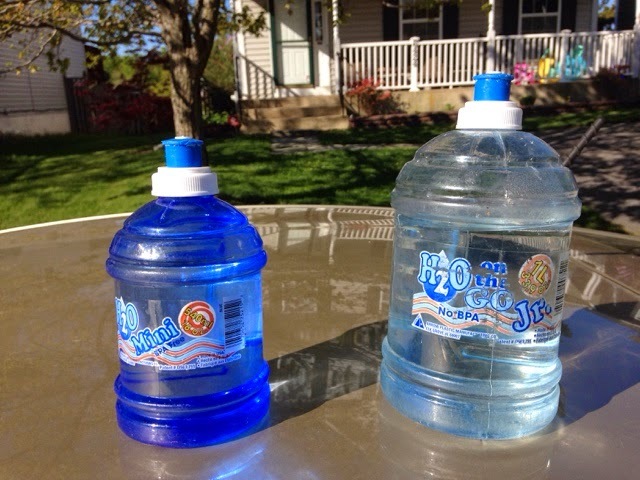 When I needed to temper the water a bit as it was too hot I would just use these squirt bottles to add cooler water as needed. I would also use the hot water to make instant oatmeal, tea, and cook hot dogs. I would put the hot dogs in an insulated coffee mug and add the hot water and wait 10 minutes. I would heat the single serving cans of beans and vegetables by setting them on the thermos combo cup/bowel/cover and pouring in hot water and wait 10 minutes and the food was hot. There are people who have written recipes on how to cook in a thermos. If I could have hot water in my Prius Campervan you can too when you camp or go on trips. Just remember that these immersion water heaters take a lot of current and the 12 volt outlets that come in most cars are not designed for this current. The wire size, fuse, and 12 volt outlet need to be heavy duty. I planned for 10 amps for my design in the Prius. Also you need to have the engine running when using them so you do not deplete your vehicles battery. For the Prius the 12 volt system is supplied by an inverter from the high voltage drive battery so it only needs to be in ready mode and the Prius will know when to run the engine. When I visited my son Clayton's house in Monterey I just filled the thermos with hot water before I left.